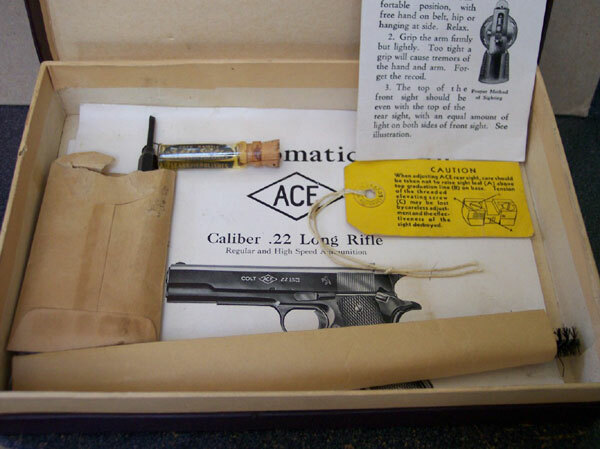 Colt Ace serial number 6662 - Early Colt Ace pistol in new in box condition. 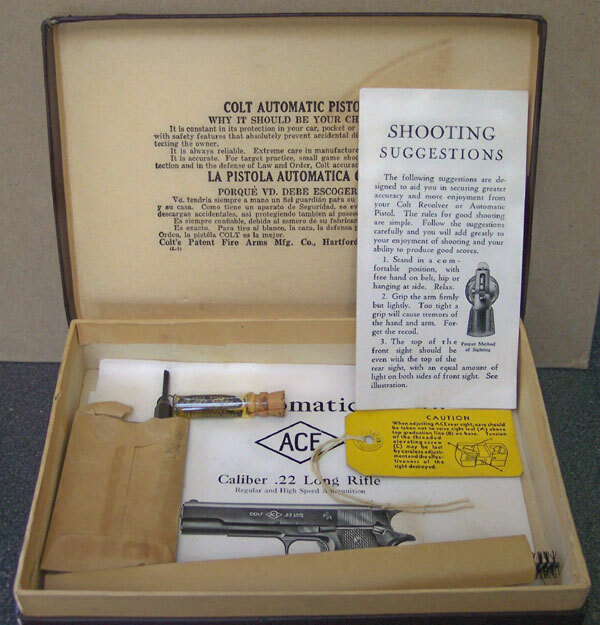 Colt Ace 6662 in original box with all accessories - Instructions, special instructions, yellow sight tag, sight adjustment tool with original envelope, cleaning brush in original sleeve and 3-in-One oil sample. Empty box and all accessories. 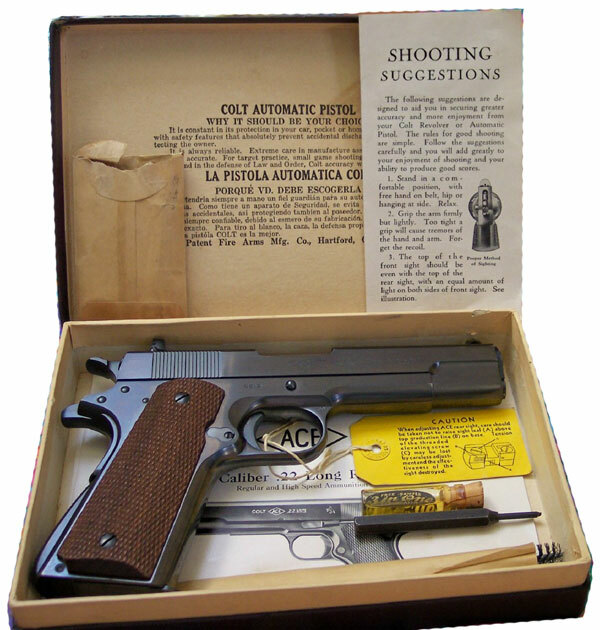 Cotl Ace box end label: Colt Automatic Pistol ACE in a diamond, .22 Long Rifle. 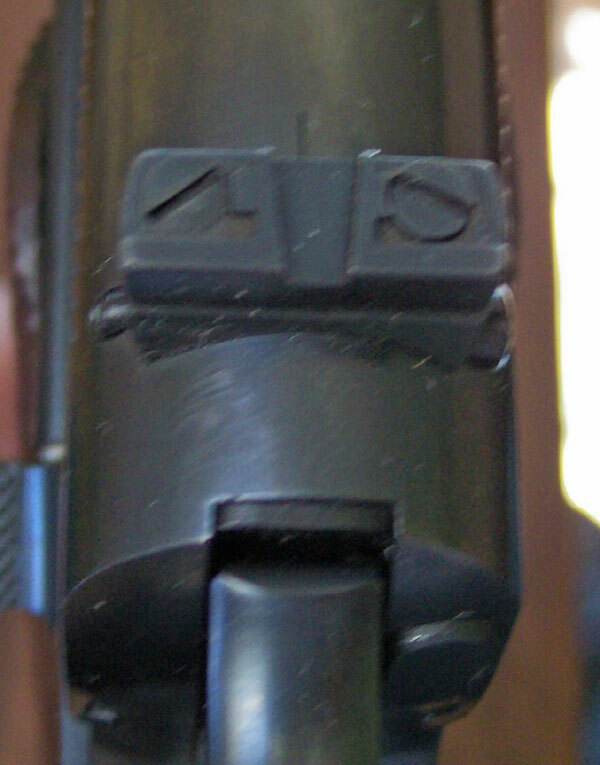 "CAUTION - When adjusting Ace rear sight, care should be taken not to raise sight leaf (A) above top graduation line (B) on base. Tension of the threaded elevating screw (C) may be lost by careless adjustments and the effectiveness of the sight destroyed"
Serial number written on the bottom of the box at the factory. Rear of slide has serial number 6662 which matches the number on the frame. 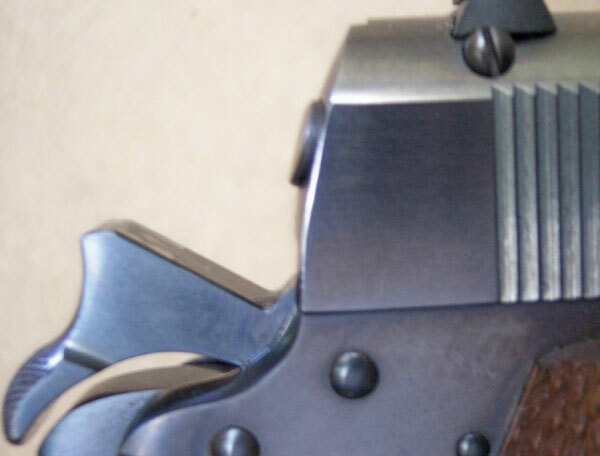 Close-up of hammer from right side. 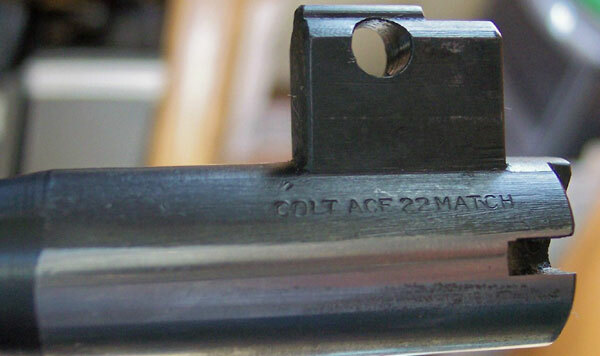 Close-up of right side slide markings and serial number. Cut for extractor on 6662 is different than on Ace serial number 1711. Top of frame near disconnector. 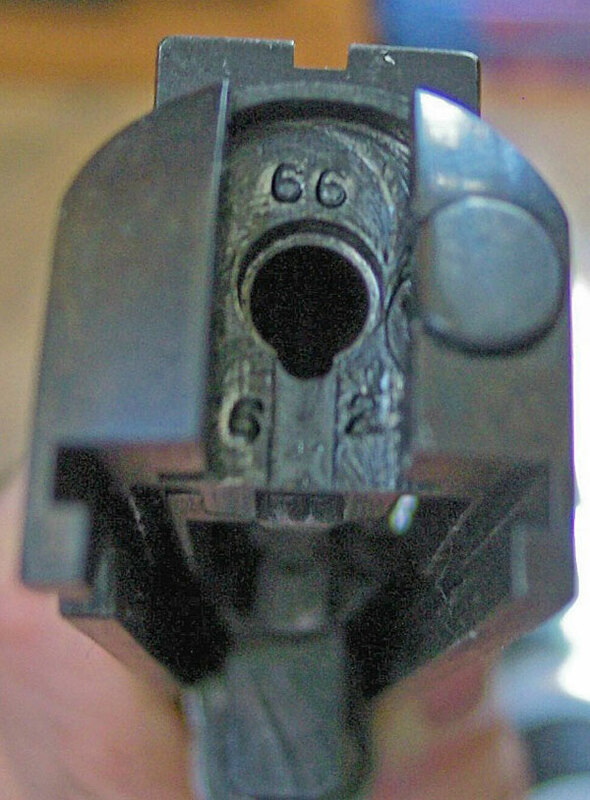 Top view of adjustable rear sight. 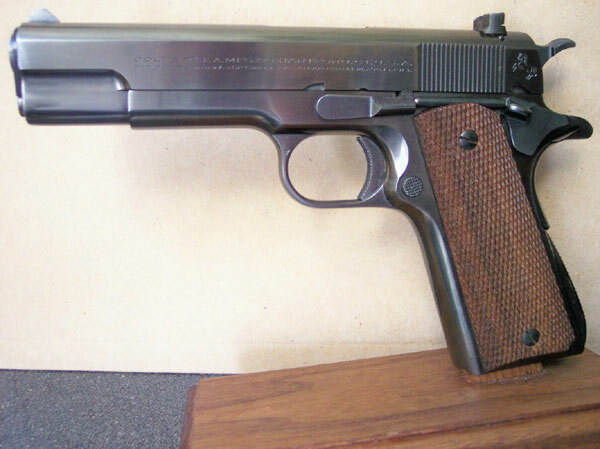 Original two-tone magazine. No hole in top rear of Ace magazine. 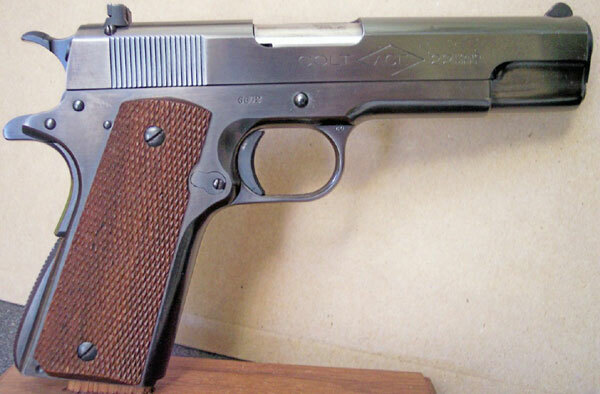 Early two-tone Ace magazines have been observed with a hole. 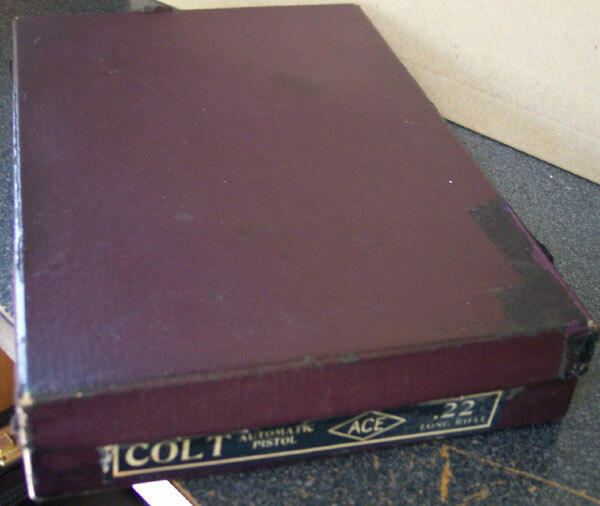 Base plate of the magazine with COLT over ACE in a diamond over 22 L.R. Label inside lower half of the box. 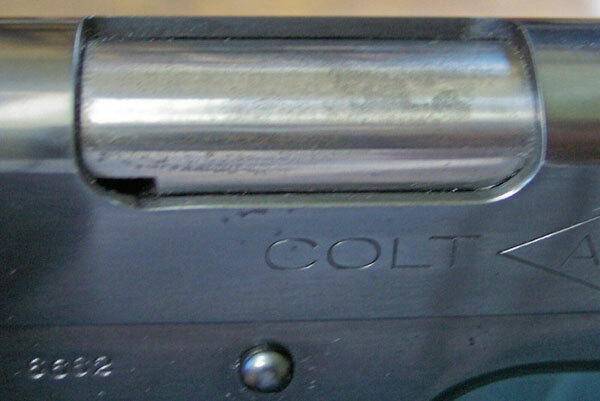 Colt Centennial crest on the bottom of the original instruction sheet. Ace instruction sheet code Form A-106.